I remember sometime last year, I had breakfast at this area, and I thought I saw this place was under massive renovation. And happened today I was thinking where should we bring dad and mom for dinner, and this place was just came to my mind at the right time. Have been having those normal ‘chu-char’ for quite some time, but today we’ll just wanted to have something different. And after all the old folks have not have Nyonya food for awhile, thus, we drove all the way to Bukit Minyak for dinner. It’s a two shop lots that combined for this place, I supposed this place is rather full during working hours, cuz, it’s near to Juru Auto City as well as Prai Industrial Estate. 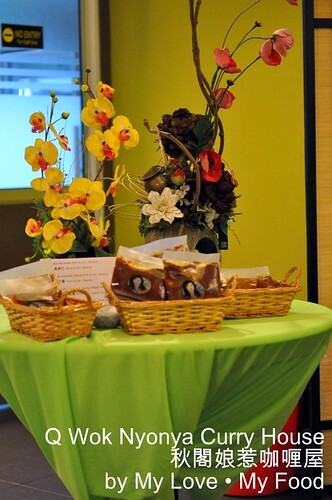 Since, this is our first time, we just have something simple and also order their recommendation. 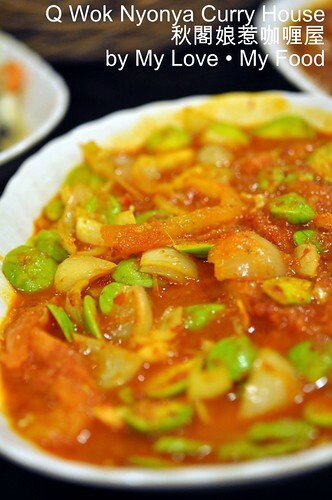 Sambal Petai (RM20-00) is our family’s favourite, regardless how it cook. 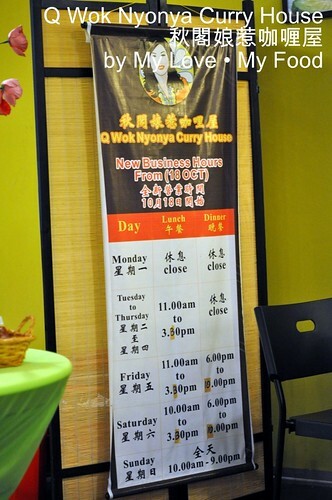 For Q-Wok Nyonya, the taste is slightly on the sour side, we presume they use asam water. 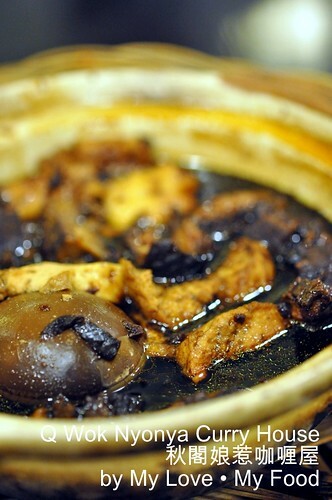 Dark Soya Meat (RM9-00), is a small pot that we have, meat is tender and marinated well. Assam Prawns (RM21-00), prawns were fresh, and the sauce was absolutely refreshing. 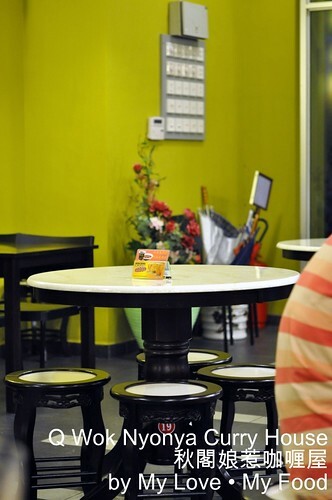 Overall, I quite like the place, at least it’s clean and food isn’t that bad. After all, can’t find any good Nyonya food in Butterworth, thus, this is definitely another choice of place for lunch and dinner. 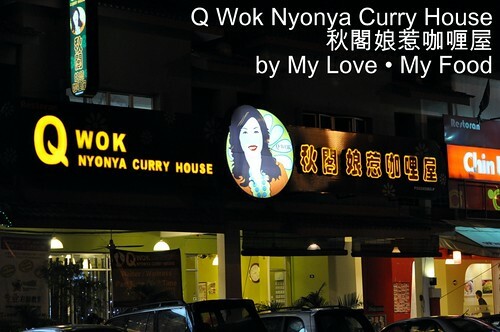 Q-Wok Nyonya also selling their home made curry paste, and sambal belancan paste, per packet is RM3-50 and RM4-00 respectively. They have also changed their serving time effective Oct 18 last year. 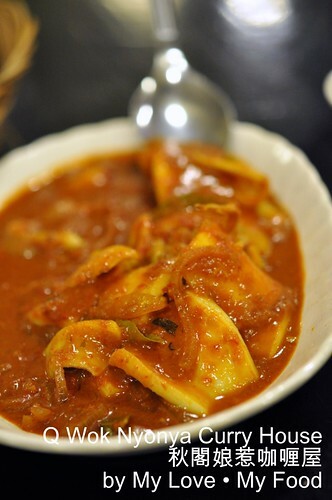 wow those nyonya dishes looked awesome delicious! lovely! We were there last month. 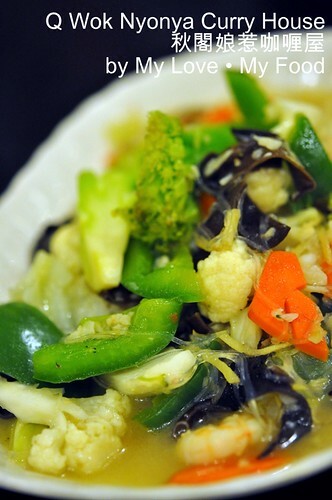 Food is average, but doesn't really taste like the nyonyo food that we usually have in Mama's or Hot Wok. 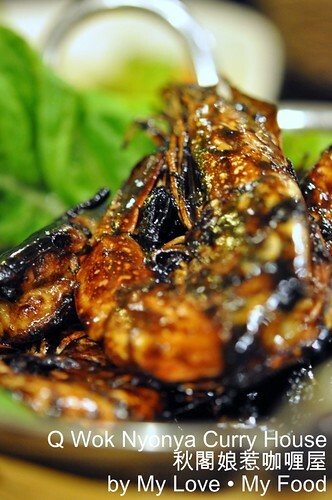 the assam prawns looks good, long time didnt eat...suddenly made me graving for them! Why the sambal petai so expensive? I have yet to visit this outlet...must try it out one day.